There is the only recognized Standard for basset hounds in the United States at AKC sanctioned events. That Standard was developed by members of the Basset Hound Club of America, Inc. and adopted by the American Kennel Club. 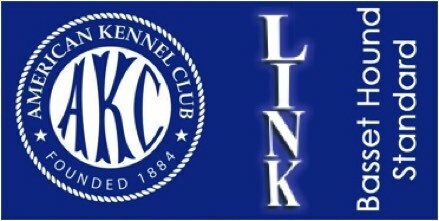 Judges at AKC sanctioned dog shows and matches use this Standard to judge the dogs appearing in their ring. The purpose for these events is to assist breeders in selecting the best breeding stock. 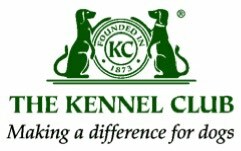 For those who are interested I have provided the most recent Kennel Club Standards for Basset Hounds (UK). The 2009 Standard is now being used in the United Kingdom and other countries. Also included is its predecessor that was adopted in 1989. Some organizations in many countries use the FCI Standard for judging basset hounds so it has been included as well. Neither one of these Standards is used here in the United States at AKC Sanctioned Matches and shows. They have been included here for educational purposes and because we have recently bought a basset with ancestors from UK and elsewhere in Europe. 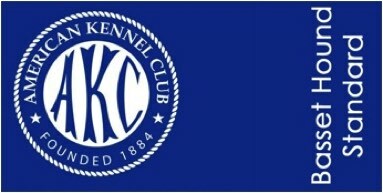 While the AKC does not recognize Championships from either the Kennel Club (UK) or FCI they will register dogs from countries that use these Standards provided the the dogs a properly registered by a registry in their own country that is accepted by the AKC. In order for dogs to compete and earn an AKC Championship they must be individually registered with the AKC and be judged by the AKC Standard by licensed AKC judges. The inclusion of these Standards, logos and any other information is provided for educational purposes only for those who visit our website for information. Woebgon Bassets has no connection to these organizations.